We’re counting down to Christmas here at Red Hot Penny with a round-up of the best Christmas ads from across the web. 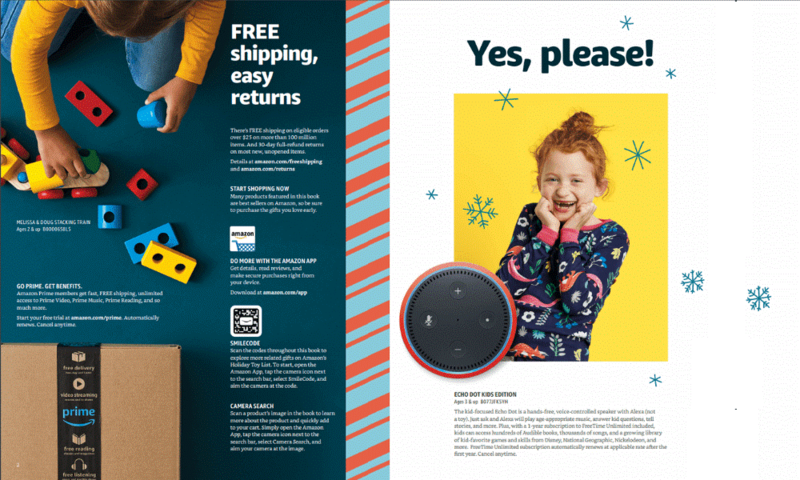 Amazon have turned to retail history to inspire their Christmas marketing campaign this year and sent out their first toy catalogue titled ‘A Holiday of Play’. We’ve seen the Toys ‘r’ Us catalogue disappear, and Argos have drastically reduced the size of theirs in recent years, owing to the rise of online browsing. But shoppers still feel nostalgic about flicking through pages of toys and circling favourites for their Christmas lists. 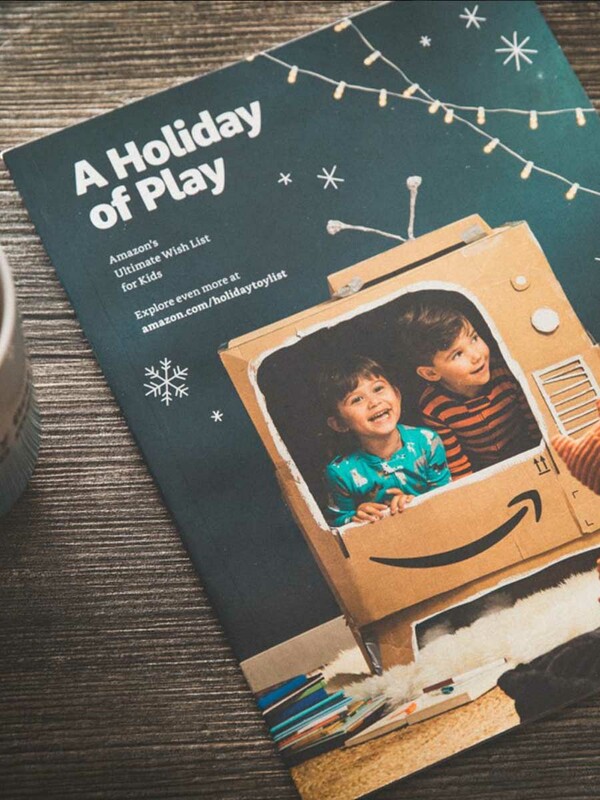 Amazon’s offering updates toy catalogues for the digital age. Each toy features a scannable QR code which takes parents straight to its product page to buy it. The catalogue is also available in a PDF format for browsing on kindles and tablets. Twitter have produced a Christmas advert to rival John Lewis & Partners’, and released it via a tweet. @johnlewis is an account owned by a lecturer living in Virginia, but he’s often mistaken for the retail store when customers tweet him instead of @jlandpartners. 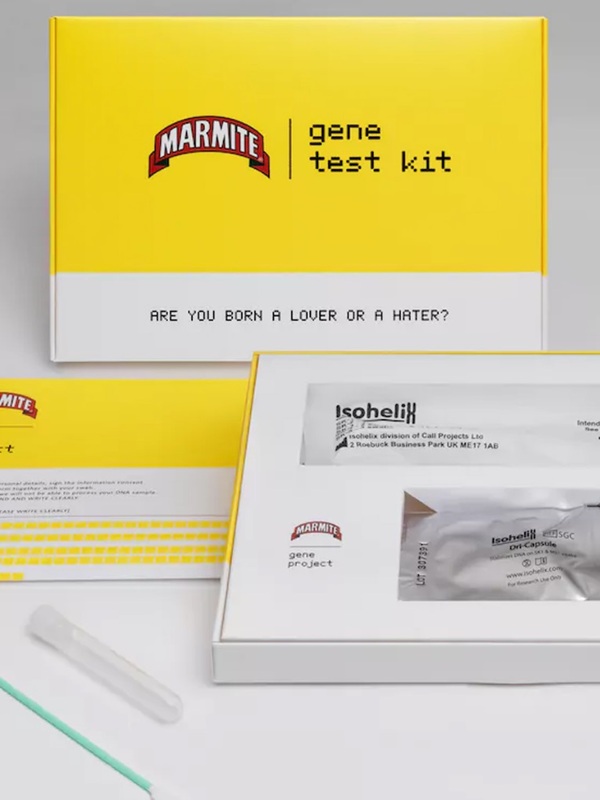 He’s become famous for his sarcastic replies to shoppers’ queries. Twitter have teamed up with the accidental social media celebrity to make their own John Lewis advert encouraging people to sign up and ‘Join the conversation. Even if it’s by mistake’. Since John Lewis (not the retail store) tweeted the ad, it’s had over 2.8million views. Etsy have teamed up with Pinterest to help improve shoppers’ experience this Christmas. 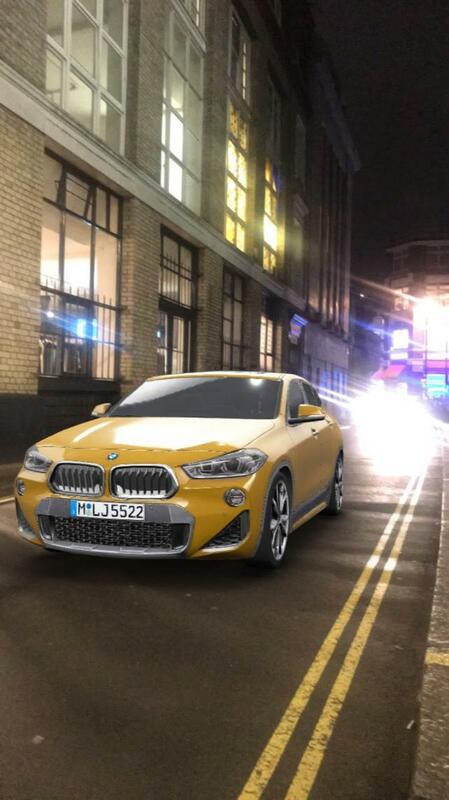 Their ‘Gift Finder’ lets users fill in a virtual gift tag with characteristics that describe the person receiving the gift. 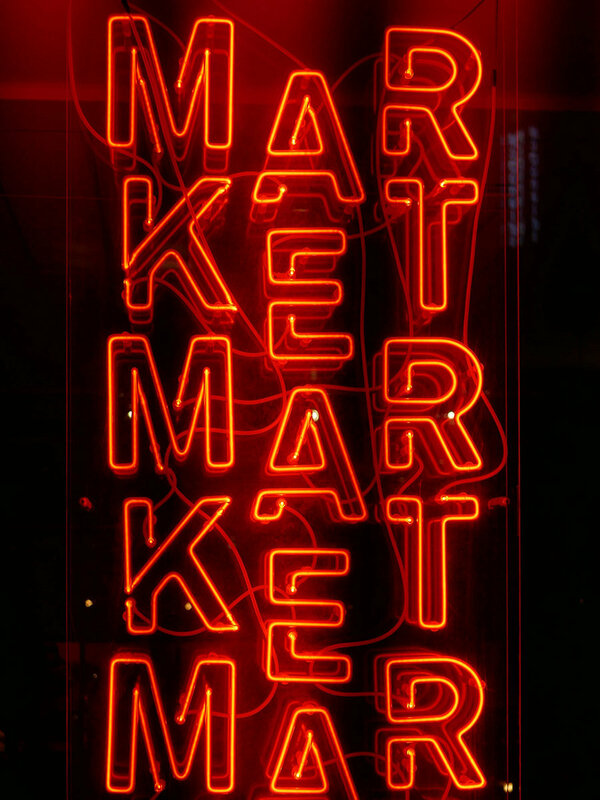 It then generates personalised recommendations for users to buy. The gift finder is being outreached through Pinterest with promoted pins and maximum width promoted videos. Pinterest is emerging as platform for paid ads, and the Etsy campaign targets the 87% of Pinterest users who use the platform to find the right products for Christmas. The retail store caused a bit of a stir last year with its #NaughtyElf campaign on Twitter – even receiving a ban from the ASA. But they’re making a comeback in Poundland’s #ElvesDoAds campaign. And it carries an important message for other retailers. In the run up to Christmas, Poundland will be tweeting pictures of their elves recreating adverts that other retailers have put out this year, with a naughty twist. They’ve started with a parody of the John Lewis ad, and had actors recreate the scene in the window of their flagship store. The entire campaign has a budget of just £76.59, which Poundland says is in contrast to the estimated £6.5billion spent on seasonal advertising. In a statement, Poundland explain their small budget helps them “provide customers with amazing value everyday”. 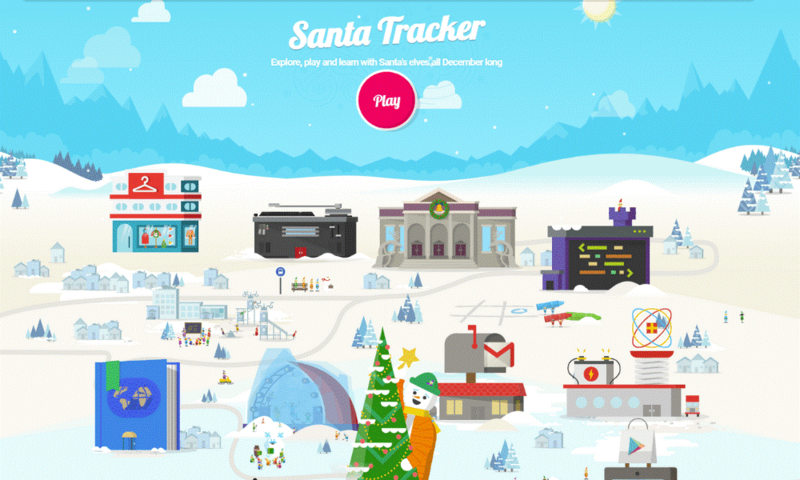 Every Christmas eve, Google tracks Santa as he delivers presents to children around the world. In anticipation, they’ve created an entire microsite full of festive games where kids can learn to code, read about countries Santa and his reindeers will visit, and style Santa’s beard. Some of the games feature nods to Google products – the Google Home speaker makes an appearance in the translation game – but the microsite is more focused on educational content for children to enjoy. The content is also available in an app. And the Santa Tracker itself will work across a range of devices including on smart watches and Google Home. Kids just have to ask ‘Where is Santa’ for the smart speaker to respond with his current location. Bookseller Waterstones is gearing up for the gift-giving season with a beautifully illustrated Gift Guide. 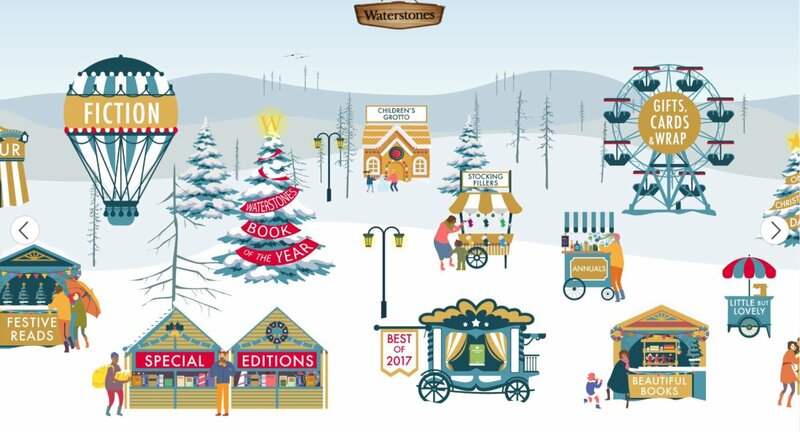 A Winter Wonderland scene features categories like ‘Stocking Fillers’ and ‘Festive Reads’ to help you pick a gift for every friend and family member. It’s not your typical gift guide – we think it’s a creative change from the ‘gifts for her/him’ standard. Plus, it’s already given us some great Secret Santa ideas. We need to talk about Moz. The fluffy monster that’s taken over our TV screens for the past month also has a pretty strong online presence. John Lewis have set up a Monster Maker microsite, where children can create their own Moz and even take a selfie with him. It’s hard to beat John Lewis when it comes to Christmas, and we definitely think the retailer has created another heartstring-pulling classic for their Christmas 2017 ad. 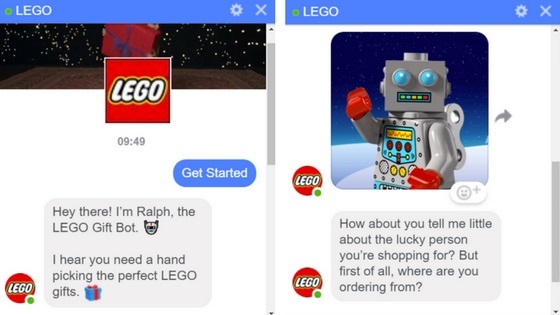 Shopping can prove a stressful task for parents at this time of year, so Lego offers a helping hand with its Facebook chatbot, Ralph. Users answer a series of questions about their budget and who the gift is intended for before Ralph suggests a few Lego products. As an added surprise, the chatbot gives users a free shipping code! All in the spirit of Christmas. American card game manufacturer, Cards Against Humanity, kicked off their holiday promotion in early November. In an extravagant marketing stunt, CAH vowed to save America and asked people to help by paying $15 in return for 6 surprises to arrive throughout December. 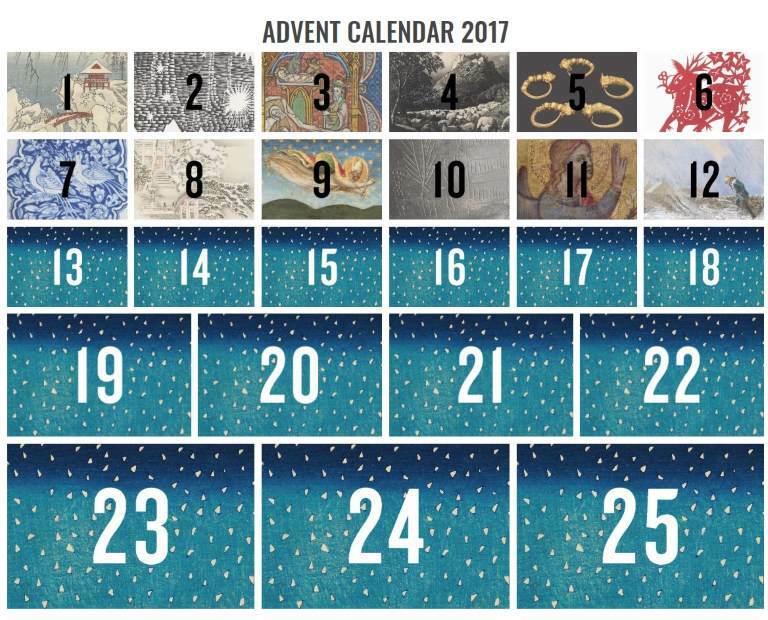 The University of Oxford’s Ashmolean Museum released their digital advent calendar this month. It’s an artistic take on the traditional chocolate calendar, where each door reveals a piece of art on display in the museum plus a description of its history. If you like the piece, then there’s the option to buy a print or Christmas card version. Check in on the calendar to see today’s featured piece. 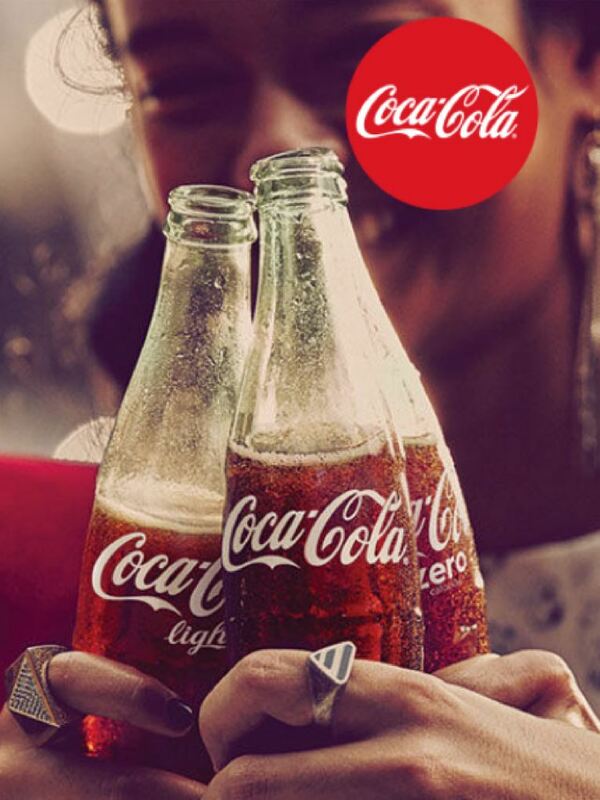 We hope you enjoyed these Christmas creative campaigns as much as we have, and we already can’t wait to share the newest and biggest January campaigns with you to kick-off the new year! If you’d like to discuss how we can help you create great content like the campaigns seen above, drop us a message!